Need a way to jazz up your cheese plate? Spice up your life with some marinated feta cheese! It is beyond easy and yet the resulting cheese is so full of flavor. With our herbs finally growing well it is time to have some fun. All right, the fun may have already started with plenty of minty cocktails. Mint grows and spreads really well so we have LOTS. Add in two boys who just had to get chocolate mint plants and our herb boxes overfloweth with mint! We also have lots of basil. This is great for pesto, among other things (including cocktails like the mint). Basil goes well with mint and a great way is to pair it all with feta cheese. 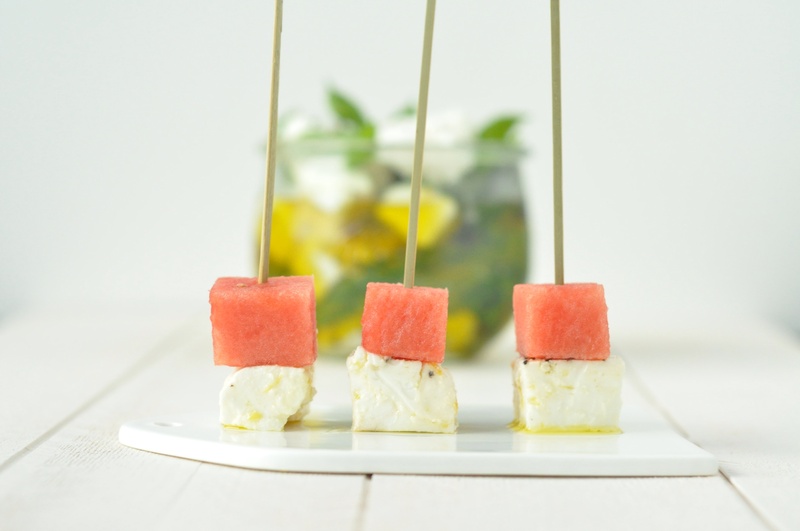 Marinated feta is not only a great way to jazz up a cheese plate, it truly is versatile. Put it on a skewer with shrimp and artichoke hearts. Another option is to sprinkle on a salad, remember to use the herb infused olive oil with some vinegar for your salad dressing. 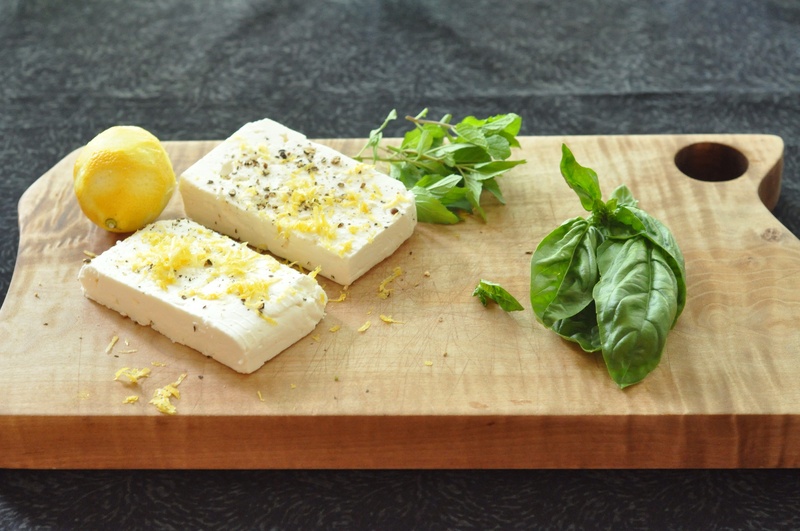 Marinating feta is fun and easy. The flavor combinations are endless. I simply chose basil and mint because I have the most of them. I also had one more reason, I wanted to pair it with a watermelon I had. 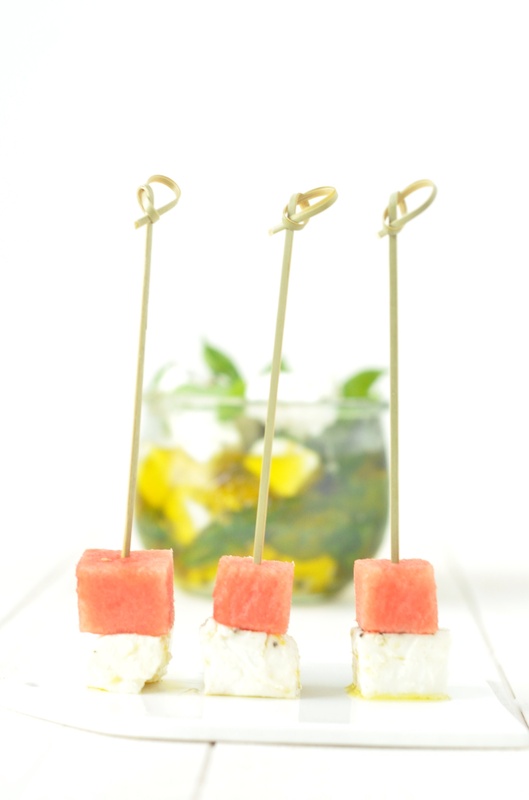 The mint, basil, feta and watermelon just go together so well. You can easily use other herbs. We have thyme and rosemary I will use next. To kick up the spice factor you could add a dried chili into the oil or rub crushed red pepper flakes onto the cheese cubes. Give it a try and I’m sure you’ll love it! 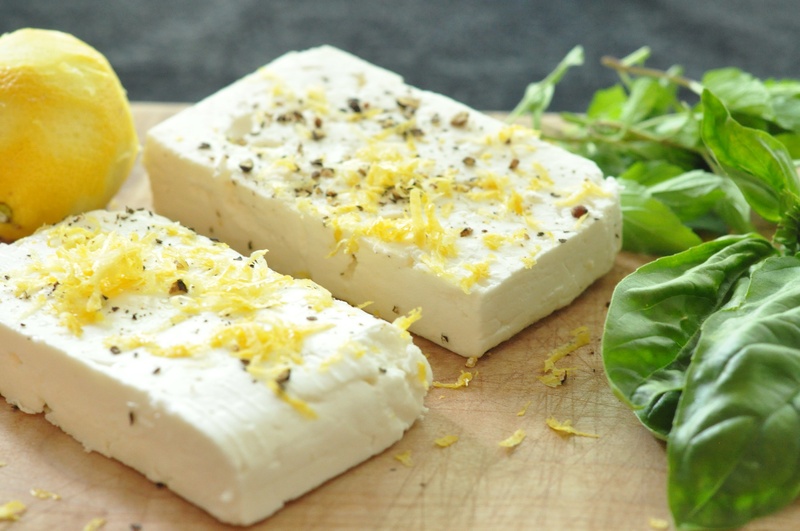 Cover the feta cubes in pepper and lemon zest. 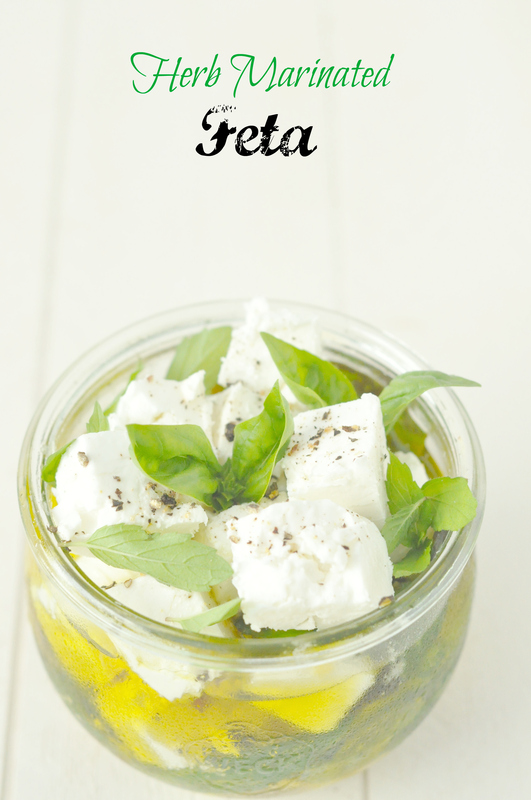 Place a layer of feta in the bottom of a clean jar, add some mint and basil leaves and continue, layering until full. Pour in enough olive oil to cover the cheese. It will keep for about two weeks stored in the fridge. This entry was posted in Appetizers, Snacks and tagged appetizer, basil, cheese, easy, Feta, herbs, mint, snack on May 28, 2015 by Gretchen. Hi Gretchen!! Oh that looks delicious!!!! My mother use to make this all the time. Are you growing the watermelon’s? I love watermelon 🙂 Love the board pictures, glad to see you are using the board!! That watermelon we bought though we do have a couple plants. They are getting bigger and we have high hopes of lots of fresh melon from the garden. The boys can’t get enough of it! As for the board, definitely love it and use it! I will have to get another sometime, your work is gorgeous. Hi Gretchen, love this idea – so simple yet I haven’t thought of it before and good timing because I just opened a pack of feta and have 1/2 left screaming to be used tomorrow! Sometimes simple is the best! Hope you enjoy. Hope the beginning of your summer is going well!! Cheers!! I was just telling the boys this morning we should grill watermelon!